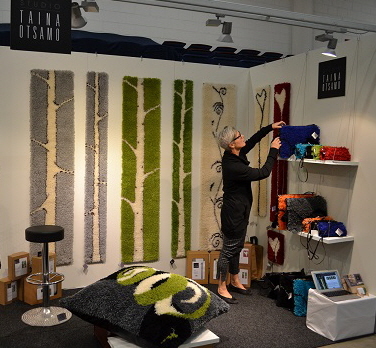 16.11.2018 - 18.11.2018 Finnish Craft & Design, Tampere. Section A860. 4.10.2018 - 31.10.2018 Mother and daughter joint exhibition “I am”, with Johanna Pétursdóttir, in the city library in Oulu, rugs and paintings. Welcome to the opening 4.10 at 18.00. The Springbirch- rug is in the new Design section of Northern Ostrobothnia Museum in Oulu from 19.3.2016. During March 2016 Rug exhibition in Mainoa Craft & Desing Shop in Rovaniemi.